The CFRP Annual Workshop brings together CFRP grant recipients, their partners and other stakeholders to share their experiences and discuss accomplishments, challenges, and strategies to overcome barriers to the implementation of collaborative forest restoration projects. 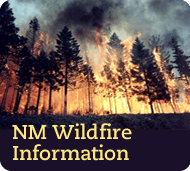 CFRP grants can be used for hazardous fuels reduction forest restoration projects on or on any combination of federal, tribal, state, county and municipal and land grant lands in New Mexico. To be eligible, grant applicants must use a collaborative process that includes a diverse and balanced group of stakeholders and appropriate government representatives to design, implement and monitor their project. The 2018 CFRP Request for Applications and the agenda for the January 10-11, 2018 Annual Workshop will be posted on the CFRP website at http://www.fs.usda.gov/goto/r3/cfrp. 2018 CFRP grant applications will be due on February 27. For more information on the Collaborative Forest Restoration Program Annual Workshop, please contact Walter Dunn at 505-842-3425 or Amanda Montoya at 505-842-3176.